Follow the Heart: The Art of Sean Scully, 1964-2014, London, New York, Sean Scully’s major retrospective show will come to China and open at the Shanghai Himalayas Museum (Shanghai) on November 23, 2014. Sean Scully is the most important international living master of abstract art, who has exhibited extensively worldwide and his works have been collected by over 150 prominent museums and institutes around the world, including the Metropolitan Museum of Art, the Tate Gallery, the Museum Ludwig (Germany), Museum of Modern Art, the Guggenheim Museum (New York), Centre Georges Pompidou, Victoria and Albert Museum etc. Sean has been praised by the esteemed philosopher and art critic Arthur Danto as ‘an artist whose name belongs to the shortest of short list of major painters of our time’. He has been the Turner Prize nominee at Tate London twice, in 1989 and 1993. After two years preparation, with collaborated effort from many international museums, institutes, galleries and art professionals, the major career-length exhibition of Sean Scully’s art will come to China for the first time. It is one of the most important solo exhibitions in the recent years of contemporary international art master with considerable academic weight. The exhibition revisits different phrases of Sean Scully’s career over the past 50 years. Works range from oil to watercolor and pastel, pencil drawings to photography – more than 100 works in total, including some of his most iconic and important artworks, such as Night and Day (279 x 812cm), some of his great 1980s paintings which overturned the orthodoxies of minimalism, and many of the Wall of Light paintings which were exhibited at the Metropolitan Museum of Art, as well as his extraordinary photographs which capture the power of things as they pass away. Inspired by his first visit to China, Sean Scully has also created a new large-scale sculpture titled China Piled Up (366x610x1524cm) especially for this exhibition. A major bilingual catalogue with the same tile will be published to accompany the exhibition. As the first extensive introduction of Sean’s art and life to the Chinese audiences, it collects some important reviews including Architectural principles in the art of Sean Scully by Arthur C. Danto, A Modernism that turned into a tradition by the renowned German philosopher and socialist Jürgen Habermas, and ‘Painting is permanently primitive…’ by the poet and critic John Yau. It also includes a major dialogue between Sean Scully and the curator Philip Dodd, as well as conversations with the major Chinese artists Ding Yi and Wang Huangsheng. The connection between Sean’s art and music, literature and film has also been investigated. 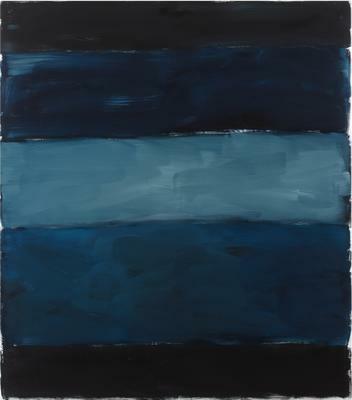 As one of the most significant international figures of post-war abstract painting, Sean Scully has developed the art tradition of Matisse, Mondrian and Rothko. Besides an internationally renowned artist, Sean Scully is also an important international cultural force by his contribution in writing, education and cross-disciplinary communications. As an important writer about art, his numerous catalogues and books have been published in many languages, including Sean Scully – Resistance and Persistence: Selected Writings in 2006 that collects his acclaimed essays on Giorgio Morandi, Van Gogh and Rothko. He was an influential teacher at Chelsea School of Art and Design, Goldsmith’s College of Art and Design, as well as Parsons. He is now an Adjunct Professor at Princeton University and Professor of painting at Akademie der Bildenden Künste (Munich). Sean’s art has been under great influence of music and literature. His deep connections with other Irish cultural figures from Samuel Beckett to the musician Bono from U2 are also well known. Bono has once said that Sean Scully is ‘a Bricklayer of the heart’ and ‘I am lucky enough to live with some of Sean Scully’s work. They are of course very musical, very lyrical…’ The connections between Sean Scully’s art and music, literature, theatre, film, architecture of his time, will also be fully investigated in the exhibition.